The giveaway contest is closed but check back. They’ll be others! 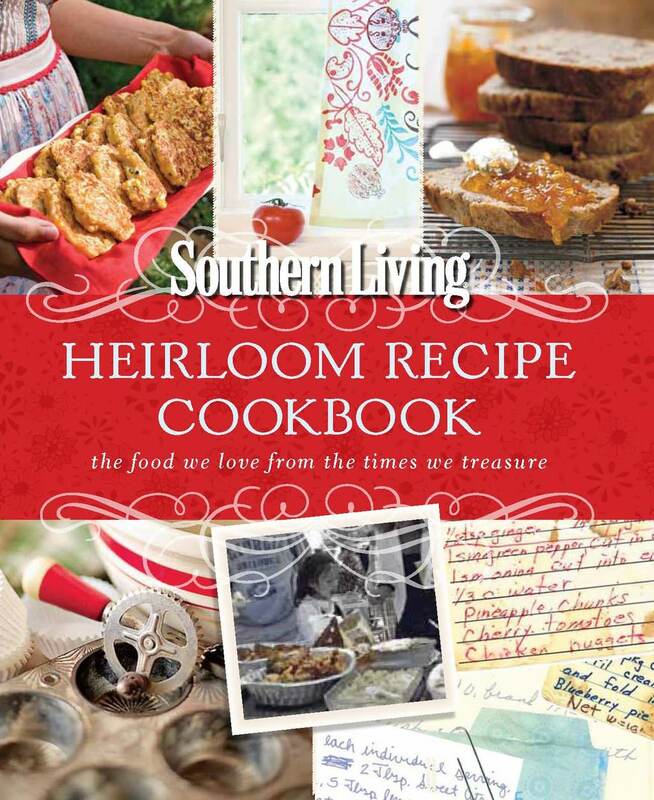 Is there anything in this world better than winning a Southern Living cookbook? Well, how about winning TWO Southern Living cookbooks? Yep, you heard right. Two Southern Living cookbooks. Be sure to read the entry requirements below. 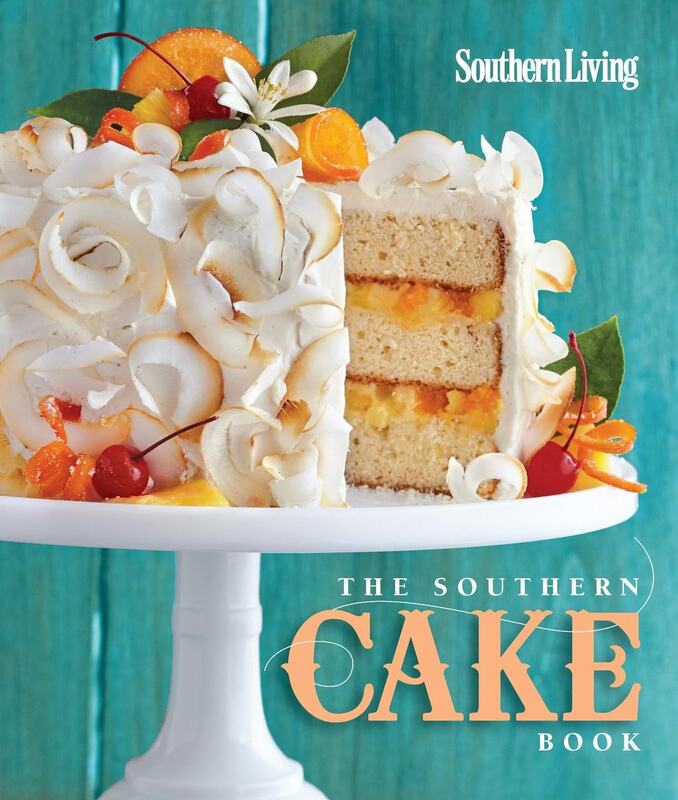 In Southern Living fashion, these books are beautiful and full of delectable recipes. Each would make a wonderful addition to your cookbook or a fantastic gift, if you can stand to part with them. Heirloom Recipe Cookbook a collection of time-honored and well-loved recipes. The photography is wonderfully warm and inviting. Recipes in the book are the ones that stick around for generations. Hands-on Time: 45 min. Total Time: 1 hr., 41 min. 1. Preheat oven to 350°. 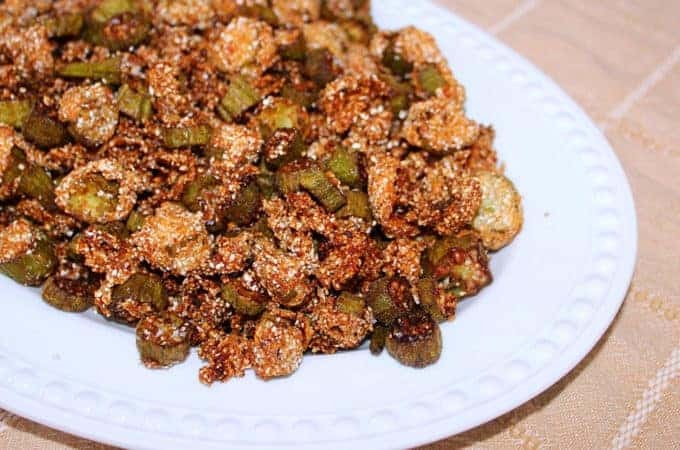 Bake pecans in a single layer in a shallow pan 8 to 10 minutes or until lightly toasted, stirring halfway through. 2. STIR together peaches, flour, nutmeg, and 3 cups sugar in a Dutch oven. Bring to a boil over medium heat; reduce heat to low, and simmer 10 minutes. Remove from heat; stir in butter and vanilla. Spoon half of mixture into a lightly greased 13- x 9-inch baking dish. Increase oven temperature to 475°. 3. Unroll 2 piecrusts. 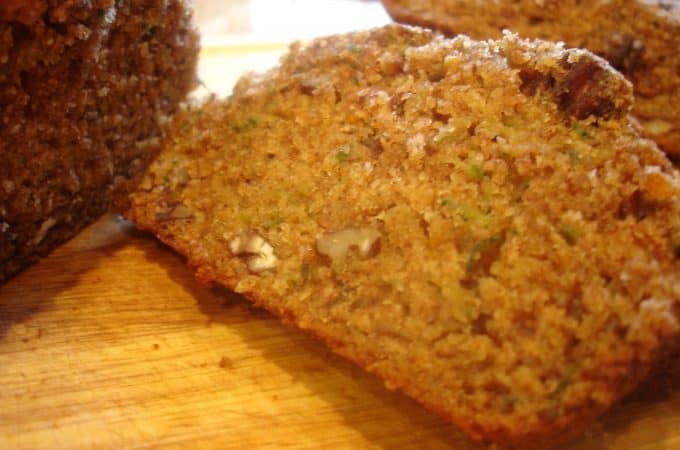 Sprinkle 1⁄4 cup pecans and 2 Tbsp. sugar over 1 pie- crust; top with other piecrust. Roll to a 14- x 10-inch rectangle. Trim sides to fit baking dish. Place pastry over peach mixture in dish. 4. Bake at 475° for 20 to 25 minutes or until lightly browned. Unroll remain- ing 2 piecrusts. Sprinkle 2 Tbsp. sugar and remaining 1⁄4 cup pecans over 1 piecrust; top with remaining piecrust. Roll into a 12-inch circle. Cut into 1-inch strips, using a fluted pastry wheel. 5. Spoon remaining peach mixture over baked pastry. 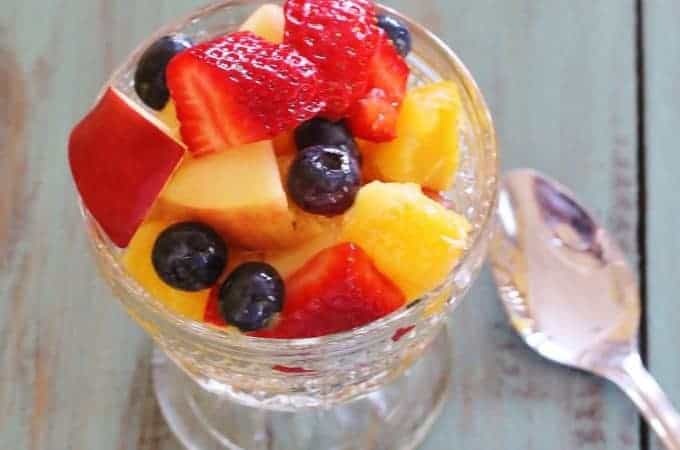 Arrange pastry strips over peach mixture; sprinkle with remaining 1 Tbsp. sugar. Bake 15 to 18 minutes or until lightly browned. Serve with whipped cream. Makes 10 to 12 servings. 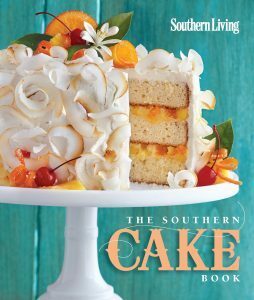 The Southern Cake Book is filled with CAKES! Not just any CAKES, but Southern CAKES! If there’s one thing Southerners know how to do, it’s CAKES. The images in the book are simply gaw-jus. And, as you might imagine, the CAKE recipes are superb. Gaw-jus and superb. That’s what a Southern Living CAKE recipe book is all about. 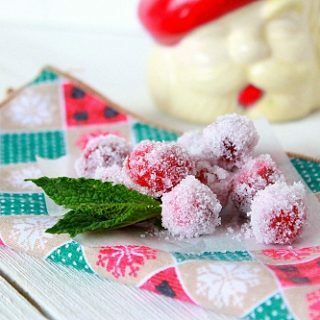 Makes: 8 to 10 servings • Hands-on: 40 min. • Total: 9 hours, 40 min. This refreshing summertime cake is really a super-sneaky shortcut in cake baking—there’s no cake to bake! Instead, graham crackers sandwich a tart custard. 1. Whisk together first 3 ingredients in a heavy saucepan. Whisk together egg yolks and half-and-half in a bowl. Gradually whisk egg mixture into sugar mixture; bring to a boil over medium heat, whisking constantly. Boil, whisking constantly, 1 minute; remove from heat. Whisk in butter and zest until butter melts. Gradually whisk in juice just until blended. Pour into a metal bowl, and place bowl on ice. Let stand, stirring occasionally, 8 to 10 minutes or until custard is cold and slightly thickened. 3. Spoon about 3/4 cup cold custard over crackers; spread to edge of crackers. Repeat layers 3 times with crackers and remaining custard, ending with custard; top with remaining 9 crackers. Pull sides of plastic wrap tightly over cake; freeze in pan 8 hours. Lift cake from pan, and place on a platter; discard plastic wrap. Cover loosely; let stand 1 hour. 4. Beat whipping cream at high speed with an electric mixer until foamy; gradually add powdered sugar, beating until soft peaks form. Spread on top of cake. Add the lime juice after you’ve fully cooked the custard in order to let the cornstarch thicken the mixture properly. (1) Enter a comment on this article, not Facebook or any social media site, and let me know if you’d like to keep the books for your collection or if you’d gift them to some lucky duck. (2) Comments on Facebook, or any social media site, will not be considered an entry. sign up for Syrup and Biscuits newsletter (see sign up block in upper right hand corner). (4) Leave a comment stating what you’ve done for additional entries. (5) The giveaway closes Sunday, August 3 at 8:00 pm EST. The winner will be contacted via email no later than Monday, August 4, 10:00 am EST and will have 24 hours to respond. If the winner doesn’t respond within the 24 hour window and new winner will be selected. Good luck and may the best commenter-sharer-tweeter-pinner-emailer win! Southern Living furnished me review copies of both cookbooks as well as the images and recipes. All opinions are straight out of my brain and are not influenced by Southern Living, Oxmoor House, Abraham Lincoln, Honey Boo-boo, The Housewives of Jersey Shore, Jesse Ventura or any other important figures. This post contains affiliate links and if you make a purchase through the links, I might receive a few pennies. Very few. I would keep them. Our menu list has gotten a bit flat and I am currently looking to try new ones and expend our boring menu!! I would keep them for myself.. Y’all have awesome recipes…. I would keep them because I’m selfish like that! But I would bake a dessert from the book and feed it to others…does that count as “giving”??? I would probably keep one and give the other to my daughter!! I love cookbooks and cooking for my crew! I would probably add them to my collection! I shared on facebook and pinned on Pinterest! I would love to have either one of these cookbooks. I would keep them for myself as I am the one in the family that cooks a lot, especially desserts! 🙂 Good luck everyone. I would love to have these cookbooks. I am originally from KY, and have been collecting cookbooks for fifty years. I haven’t checked my collection,however if memory serves me, I do not have any Southern Living cookbooks, so they would be a welcome addition. I shared to FB, pinned to Pinterest, commented here about how I’ll use them, signed up for the email newsletter and shared via email. Good luck to everyone! I’d probably keep one and gift one! I would love to win these cookbooks. I love all things southern. I would be selfish and keep them! I would keep for myself!!! I would add them to my collection but shre them with my daughter. I would definitely keep them, they would be a treasure. Love Southern living cookbooks! I will probably save both of them to give my daughters when they get married. A friend gave me a Southern living cookbook when I got married and I used it until it fell apart! My Mother has been a collector of Southern Living cookbooks for about 30+ years….these would make the perfect gift for her!!! Yes,I would love having these two cookbooks to add to my collection. Sharing fabulous meals is one of my favorite things to do. Especially since I started out years ago not knowing how to cook at all! But after becoming a mom,I figured I’d better get busy learning! Hahahaha! I read and collected everything I could get my hands on and TODAY I’m happy to say that not only have I learned how to cook but I have a collection of over1,000 cookbooks. I would keep them for myself. I’ve never been able to part with any of my Southern Living cookbooks!! I would love the cookbooks and yes I would share with my family or buy them a copy. I did share on facebook and I believe on Pinterest too 🙂 Thank You! I would keep for myself. I love Southern Living. Thanks. Would love to have these cookbooks for my collection. Shared on Pinterest, Twitter, Facebook and G+. I would keep the cookbooks but I’d bake up some goodies and give them away to bless someone’s heart! The cookbooks will be gifts that keep on giving! I would share with my daughter. I’ve pinned and facebooked. Unfortunately, I don’t tweet or anything else of that nature. FB is it for me. I’ve also e-mailed to myself which then goes out to a select few of my friends who enjoy the same things I do. AND I’ve signed up for your newsletter! Can’t wait for it. I follow you on FB but would love the e-mails. I would keep for myself, of course! I love my Southern Living and Syrup and Biscuits, pinning this right now and am going to share on Facebook. I would keep them for my collection. I shared via email, via pinterest, and also signed up for the syrup and biscuits newsletter. I would keep them! I don’t have any cookbooks, I get recipes from packages, internet, family sometimes I through stuff together! With all the printouts I have I could staple them all together and make my own. And already signed up for Syrup and Biscuits newsletters. Thanks again. I would love to win these cookbooks so my daughter in law and I could make yummy desserts together! Thanks! I would give it to my daughter who loves cook books. I shared on email, on Pinterest, and signed up for the newsletter as well. I would keep them for my collection. I have a library of cookbooks that I hope to handdown to my daughter in laws and my granddaughters! I am sharing on FB, Twitter and Pinterest! ecipes from Syrup and Biscuits are fabulous too ! I would share with my Mom.. Shared on facebook, pinterest and will be emailing my friends. Can’t access my G+ account (forgot password). I collect cookbooks of any kind.I have at least 500 in the collection and still adding.any ethnic recipe .I w9ulf love to add this one.I have books that go back to the 40 and.50.from Disney to cajun .love your post. I would keep them for myself!! I love to cook for my family!! Hope I win!! Thank you and goodluck to all who enter!!! I LOVE Southern Living Cookbooks and will treasure them always in my cookbook collection. I would keep the. I love southern Living… Cookbooks and Magazines. Southern Living is a must have for any southern cook! I have several of the hardback annuals and would keep the cookbooks for myself if I won. I have shared the contest on Facebook and reprinted on Pinterest. I have also signed up for the newsletter and look forward to receiving them! I would keep them for my collection… might see if my daughter would want the Cakes since she is turning into a better cook than her Mama. I love cookbooks, and seek them out at flea markets and thrift stores. The internet is great for some things, but when the electricity goes out and you have to save the battery on your phone, I turn to my cookbooks. I have a gas stove, and i have never not been able to cook. We go up the mountains and you don’t have internet service, so a book is your only source. When we are in the mountians I try new recipes because if the family doesn’t like them they have to eat them anyway, there isn’t a McDonald’s for miles around or over the next mountain top. I would love to receive both these books, and keep them for myself. They will be passed down to my sons when I can no longer use them. They have a love for cooking, good thing cause the girls they have dated don’t know how. When 1 was in college he would only let his girlfriend do dishes, then upgraded her to make a salad, but these boys of mine do all the cooking. He even made a six foot cake for his girlfriend for her birthday, cut it out, gave her a ponytail, iced and decorated it, wow was it cute. I didn’t know he had this much talent. These books would truly be an heirloom for our family, and I would be proud to be your winner!!! Have pinned, shared on Facebook and these books would become part of my collection! I would keep the books. I love Southern cookbooks and would not be able to part with them. Would loan to my BFF, but would get them back for my collection. Thanks for the good recipes, Hope I win. I am thrilled to see this cookbook on a giveaway…I have had my eye it ever since it came out! Can’t wait to get my hands on one….thank you for the consideration! Would keep for my collection. I would gently look them over between now and Christmas and then give them to my grown daughter who is newly married. I would keep the because I need all the help I can get. I lived by myself after my husband died and very rarely cooked. Now I live with my 2 grown son’s and a granddaughter and do most of the cooking. When I had to move from my large home to a small apartment I gave away all but 2 of my cookbooks, the Better Homes cookbook and a cookbook from our local museum. 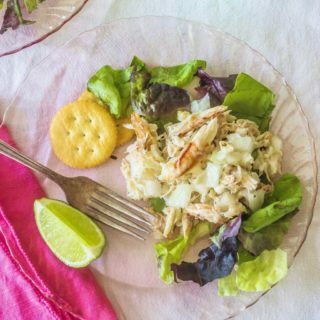 We love the recipes from this site and I’m always copying others to try. I love it when my son’s tell their friends that I made a dish that I got the recipe off the computer and it was great. Them boys love Mama’s cooking. Born and raised in Florida, I live and love Southern Cooking. I would keep this book for myself to add to my family recipe books. I would keep one and gift one! I love southern living everything! Mags and cookbooks. I’ve enjoyed them for many years. I must be selfish and keep these books for myself, I’m diffenately sharing in all ways. Good luck to everyone! I would share with my daughter that is straight out of college with her first apartment and wanting to learn to cook for herself. Shared on Facebook, pinned and already signed up for newsletter. I would definitely keep the cake book & maybe share the other! I don’t have these 2 cook books so I’ll be keeping them for myself. Thank you so much for sharing your recipes and a chance to win the cook books. I shared with FaceBook,Pinterest, Twitter, Google. I’d keep them but share them with my daughters who are fans of Southern Living like I am. We’ve been long-time subscribers and love to compare notes after each issue has been enjoyed! If I were to win these gorgeous books I think I would choose to keep one and give one as a special gift to a friend. I would keep there beauties for myself or share with my oldest daughter. Shared on FB. Would love to keep these. I collect cookbooks from all parts of the world, new and old alike. I would keep the southern living cook books for my collection. I am 42 years old and my mom got me started on southern living books before she died. I love the recipes in them. I’d love to win didn’t live long enough in Georgia to get some southern cooking on. I would love these, and keep them! Im the only one that cooks in my family, my in laws live about 10 houses away and they are 87 and 84 and they don’t cook anymore, i do it and cook for them too! I am always looking for new recipes! I would LOVE to keep them AND SHARE THEM! I Love everything that y’all post ! I would keep them for myself & to add to my collection of cookbooks !! I’ve commented & shared on Facebook ! 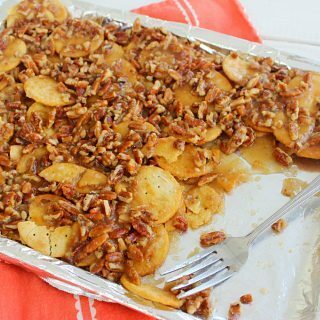 Love Southern Living recipes, I would keep one book and give the other one to my daughter. Hate to sound so selfish but these would go on MY cookbook shelves! I don’t feel too guilty since I am the baker in the family. And going to share on facebook. I would keep them until my granddaughters got old enough to appreciate them, then I would have to share with them. I would keep them for myself. I live in Northern Ireland and we don’t get much southern cooking around here. 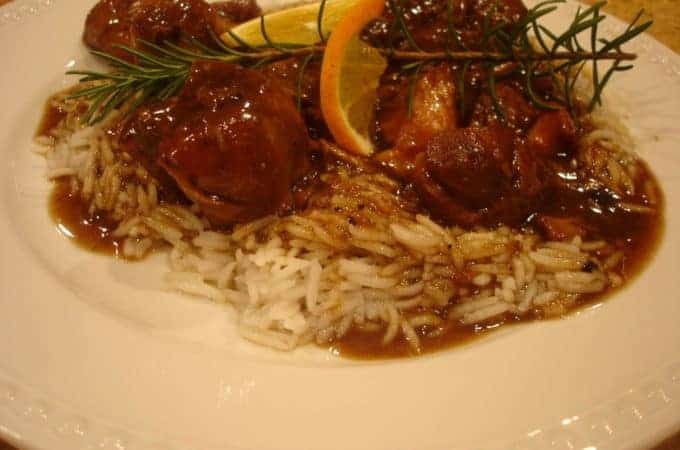 I love to try different recipes from your page that taste so different from our usual food. Then I’d share the delicious food with all my family!! oes ‘food’ and I do pastries. Nothing speaks of tradition like a Southern Living Cookbook!! And two of them just makes it better! I’d love to hold on to them and have them to give my children when they have their own homes. I would keep the books for myself! I shared this post on Facebook and signed up for the newsletter. I would keep them for my collection. I love cookbooks. I would keep both because I love Southern Living. Thanks. As a Georgia girl ,I’d add to my Southern Living collection!! I have the set of the Heritage cookbooks and would love to have these too. Would love to be the winner of both books to add to my collection. I collect cookbooks and these look like 2 that would definitely make my collection improve greatly. As I live in Wisconsin I don’t get nearly enough Southern cookbooks. The word Heirloom really peaks my interest! 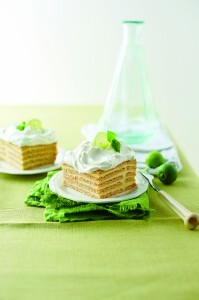 Love the “teaser” recipes for peach and key lime! I’d keep them, and give away my results ! Everybody wins ! Southern Living cookbooks are the best! I collect cookbooks and already have the Heirloom book, so I would give it to a animal rescue to auction off. I would keep the cake cookbook. I want YOUR cookbook the most for my collection…..but I like Southern Living too…who doesn’t ? Oh, I would keep them and make and bake and share the results with friends and loved ones! I love books, cook books, craft books and sewing books. Books, books, books! I would love to have these two to add to my collection. In my opinion you can never have too many. I would keep the heirloom cookbook and give the cake cookbook to my mother-she enjoys baking SO much more than I do! I get the newsletter and enjoy it! I would keep one and give the other one to my sister. Then we can share them! Southern cooking is the absolute best ever. The books look lovely! I love the older type recipes. I believe in what my grandparents ate is better than the pretend stuff people cook with now. For myself , I love cook books . I’d probably keep them for myself, however, I love sharing the goodies that come out of my kitchen, so this is pretty much a win win for everyone. I would keep then. I love my southern living cookbooks and I pass them to my daughter a new mommy and a brand new teacher who I am super proud of how amazing she is. I get the newsletter and love whenever it pops into my inbox! I am actually entering for my daughter who lost all her southern living cookbooks in a house fire. These would mean a lot to her. I would keep them. I love Southern Living cookbooks. I would keep for my collection. I would keep them for my collection. When I moved 2 yrs ago a lot of my things got left behind & my cook books were part that got left. I shared on FaceBook, & Twitter & I e-mailed to my daughter. I would love these books! I have just retired after teaching for many years and am enjoying my time to explore new recipes. I am a Georgia girl and love southern cooking! I would keep these myself and use them often. I love the recipes you included today! Thank you for this chance to participate in this give away! I would keep them for my collection but would share with Granddaughter’s and then they would be their when something happens to me they will divided between them. They love cookbooks as much as I do and they will treasure them. I would keep them because I love to cook for my family. First of all, I would keep both of these cookbooks. I have a collection, and I don’t have these or anything like them either, Second, I love Southern Living! It is a great magazine. 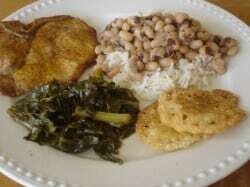 Southern cooking is awesome – my Mom was from down South, and I learned to cook from her and her Mom. Third, I am going to share this with all the social medias. Thank you for this fine opportunity! God bless! I would love to have the cookbooks for my collection! I would have to keep them! I would certainly keep them for myself. I have a few Southern Living cookbooks and I love them. I collect cookbooks and would love to have yours! I have tried some of your recipes off of Facebook! I love Southern Living recipe . To own just one of the cook book would be an great but two is so beyond words. If I don’t win I will just have to keep copying all those awesome recipe that I do get. Thank You for the good stuff in life. I would have to keep them! I collect cookbooks and Southern Living books are among some of my favorites! I own the entire collection of Southern Living Annual Recipes Cookbooks, and these books would be an awesome addition to my collection! I shared on facebook and have signed up for your newsletter! I would add the cookbooks to my collection. I am following you on Pinterest. I like you on Facebook and I already get your emails. Southern Living Cookbooks aren’t just your average everyday cookbook. They are collectable cookbooks that you can pass down generation to generation for true southern cooking. I would save them for my two granddaughters, they are 8 and 7 years old now and love to cook with me. 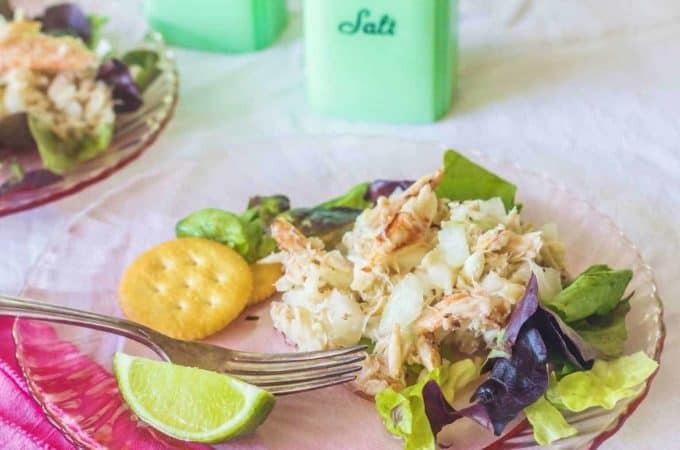 I love the southern recipes I remember From my mother and want my girls to know them too. Would love to have the cookbooks. I love your recipes! If I win the cookbooks I’m sorry but I would have to keep them for myself I love southern living they are my favorites! I will be sharing this on all that I subscribe too! I plan to make a southern peach cobbler that will look just like the one shown in the picture for our family reunion this weekend. My South Carolina sister-in-law taught me how — she had great fun showing this midwestern girl ‘how to cook southern’. I also love to bake and share and eat cakes — the cookbooks would have to be mine — at least for awhile. I will share this on Facebook and pin it on pinterest. I would love to keep the Heirloom cook book for my collection and give away the Cake cookbook. I would be so thrilled to be able to see the old recipes and make them for my family at our Sunday dinners. I have a young cousin who loves to cook and bake for her new husband so I would gift her with the Cake cook book. I would keep one and gift the other cookbook. I pinned on pinterest. Love Southern Living!! Keep one & gift one. I would absolutely keep them for myself. I love Southern Living. When I lived in the South I never missed Southern Living magazine. I’ve never seen one of their cookbooks i don’t think. I should check them out and get one sent over. I’d feel very American the whole time I used it. I would keep them for myself 🙂 I love the one Southern Living Cookbook that I ordered about 12 years ago from a home party. I use it at least weekly. Thank you! I would probably keep both as I grew up in the South, then moved to Wyoming for 15 years and am now back in the South and need to add new recipes to my repertoire! Sharing on FB. I would keep them and try out all of the recipes. Love your recipes and follow you daily. I would keep one cookbook for my collection and give one to my wonderful mom. I would keep the cake one because I love baking cakes and add the Heirloom to a friends collection. I’ve posted to Pinterest and shared on Facebook. I would certainly keep one to use and give one to my daughter. 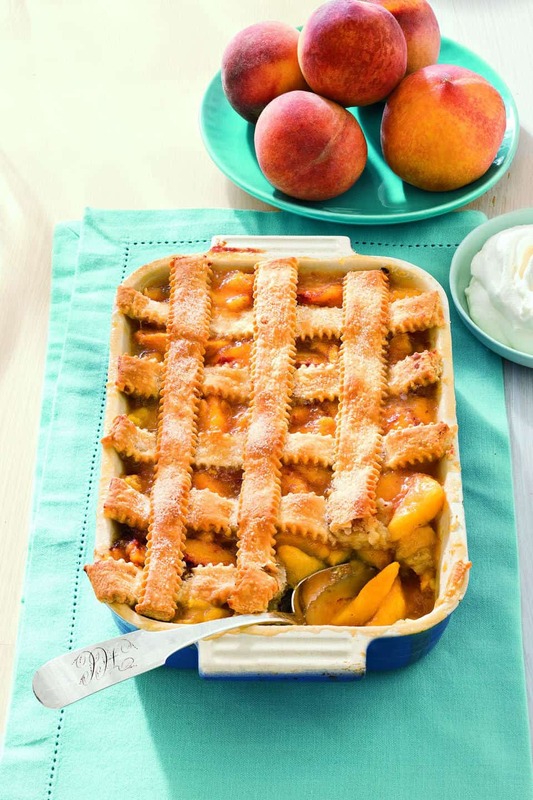 Love Southern Living books with their gorgeous pictures and well tested recipes. This icebox key lime pie recipe sounds so wonderful to have right now in August — especially for someone who lives in a very warm climate like Central Florida. I am definitely making it for our church home group! I would have to be selfish and keep them for myself! I love all of the Southern Living recipes! I’d love to add thesevto my collection and make them my favorites. The cookbooks would stay in my collection and hopefully passed down to future generations as treasured recipes. Nothing better than a southern cake I tell ya. I would keep one and share one with my daughter, but I would really like one of yours!! Southern Living does a wonderful job too! I love cooking various dishes and would def. put the cook books to good use for others to enjoy. My goodness! These books are drool-worthy! Would keep them as they look like they’d be an asset to my cookbook shelf, but I’d be sure to bake the recipes to share the love with family and friends! I would have to keep both books to add to my collection. I love Southern Living books! I’d selfishly keep both of them! 😀 LOVE baking cakes!!! I’d honestly love to get these especially since you’re giving them away on my birthday! Oh, the books look so nice. I would keep the Heirloom Cooking book and give the Cake book to my daughter. I shared this contest on Facebook, pinned to my Pinterest and e-mailed to some friends. Good luck to us all!!! I’d keep them! Need to start cooking! Shared on FB and Pinterest. I would have to say if I were to win, I’d keep them. I love Sourhern Living and can spend hours reading their awesome recipes!!! I would love to start my own collection with these two cookbooks!! I would keep them for myself!! The heirloom recipes would be all mine, but I’d gift the cake records to my mother in law. She would love them! I collect cookbooks and would love to start my daughter collecting them too. I already passes on the love of baking to her. They would remain in my culinary care! Love love love cookbooks! Love to cook! Love Southern anything! I would keep the cookbooks. I love reading Southern Living cookbooks! I would proudly add them to my cherished cook book collection, which includes books from my mom, dad, aunts and grandma. I especially love the books that they have made hand written notes in. I would keep it. I love SL cookbooks. However, I would share with my daughter. Shared via pinterest and Facebook. I would definitely keep the Heirloom Recipes one and gift the Cake one to my mom, the dessert expert. I live in Canada and have visited many southern states. Love the food in Louisisna . 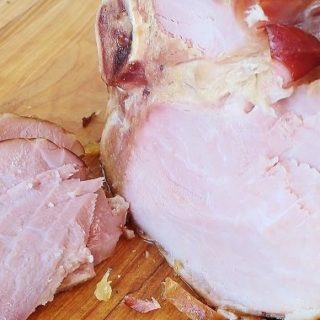 The best foods I’ve ever tasted or made came frome the unique culinary stylings found in southern cooking. I would definately be keeping these books for that inspiration that comes from reading them!! They say a person should replace one outgoing habit for another. Having worked most all my life and now turning seventy looking at retiring, I can think of nothing better than taking my extra time up in the kitchen trying out recipe after recipe placing dates along side each one. What a late life diary that would be for each of my two girls to have a cookbook apiece after I am gone. I’d keep them!!! Cook seething from your sight weekly!! Love it!! Have a blessed day!! Keep on cookin!! Oh I would definitely keep them for myself.I love ll your recipes..Might let someone look at them,but with me they would stay..shared on twitter,pinterest,google,stumbleupon…. I would keep them for myself, may sound selfish but it is what it is. I have been receiving your newsletter for some time and enjoy everyone. I will probably share on FB. I will be keeping these for myself. I love Southern Living. Thanks for the great giveaway! Love Sourthern Living mag and their cookbooks! I will b keeping them to enjoy!!! Shared on Facebook and signing up for newsletter!! Thanks! Just moved to the south a couple of years ago, had always lived in the midwest, but have always been ‘southern-at-heart’ and being raised a country gal, I love southern/country cookin’! ! ! When I win these two cookbooks, I’ll add them to my collection so I can have more delicious recipes to prepare for my husband, family, church family, take-outs to homebound family and friends, etc. Hi! I love Southern Living Cookbooks so I would keep it for myself. Thank you for the give-away. I’ve shared this via email to my foodie friends and posted it on my social media accounts. I would keep the books for my collection. They sound wonderful! Love these cookbooks! I love cooking and always looking for new ideas. I forgot to post that I shared offer on Facebook, Pinterest, and Twitter. Cookbooks are a relaxing read at the end of a busy day, not just a help in putting a meal or treat on the table for family and friends. I will keep them for my collection. Southern Living is a wonderful source. Love any southern cookbooks and SL’s are always good! 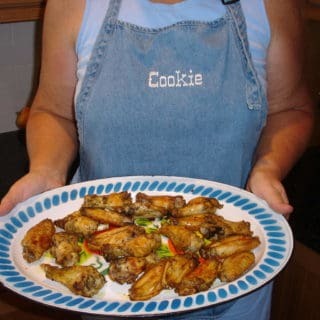 I’d keep one and give one to my Mom, a great southern cook! Forgot to state I shared on Facebook & subscribed to Email. Nothing better than a Southern Living cookbook. Full of tried and true recipes. Just like getting you neighbors favorite recipe. You just can’t wait to try. Can’t wait too yet the Pecan Peach Cobbler. And i definitely want these Southern Living cookbooks for myself! Shared your link on Facebook Twitter Pinterest and +Google. And signed up for newsletter. Cakes are my all time favorite to bake. I love to share them with friends. I’d love to have these awesome books to add to my collection. I’ve shared on FB, Pinterest. I love trying new recipes in new cook books! I would keep them for my collection and then purchase others to give as a gift to my daughter. They would make great christmas gifts! I’d love to add these to my collection!! Cookbooks are what i collect so i would have to keep them to myself! Maybe i would share a recipe or two! !